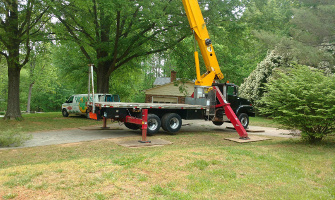 When you need tree services at your home or business in Lake Norman, North Carolina, the only place you need to call is Top Notch Tree Service! 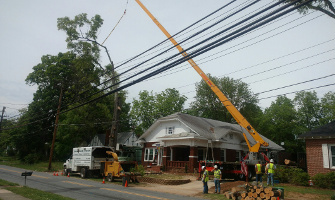 At Top Notch Tree Service, we are a professional tree removal service operating in Lake Norman, North Carolina and the surrounding area. Our arborists offer complete tree services, including tree trimming and felling, and stump removal. Our team can safely trim your trees quickly and efficiently to help revitalize your outdoor spaces. Our experienced team of tree removal professionals has years of experience. This means that we’ve come across nearly every situation imaginable. We’ve discovered efficient methods of removing even the most stubborn trees and stumps, so we’re sure to be able to help you. Another consequence of our significant experience is that we get the job done quickly and efficiently. This means less work for you, as the job will be done before you know it and you can get back to the more important things in life. 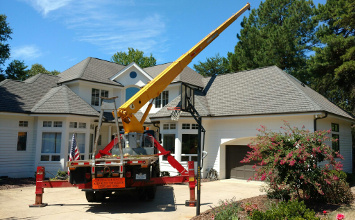 At Top Notch Tree Service, we believe that top-quality services shouldn’t cost a fortune. We feel our tree removal and maintenance services speak for themselves and that doing a great job at a fair price means repeat business. Our customers seem to agree, as a significant amount of our business comes from referrals. Our experienced professionals are equipped to provide tree care tips and routine maintenance solutions that keep your trees looking their best all year long. Regular trimming and pruning of trees is highly important for the trees’ long-term health. Proper tree maintenance can promote healthy, positive growth and give a new lease of life to struggling trees. Proper trimming is important for safety purposes, because damaged limbs can fall and cause injury or damage to your property. 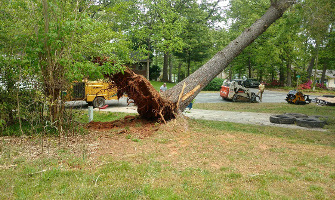 Our team at Top Notch Tree Service in Lake Norman can safely and efficiently remove unwanted trees or stumps from your garden or yard, taking the hassle and danger out of your hands. Our risk-free approach emphasizes safety, which means you can have your tree felled while maintaining peace of mind. We also specialize in rigging inaccessible trees. We’ll do the job right the first time around. You’ll be surprised at just how much more space can be created by removing unwanted trees from your property. Contact us today to learn more about our tree services and how our team at Top Notch Tree Service can assist you! Get that Top Notch Tree Service Now!